WASHINGTON – The Catholic Church is the worldwide organization best positioned to meet Haiti’s needs, said Jesuit Father Allen Figueroa Deck, a keynote speaker during a National Conference on Solidarity June 1-3. That message resonated with Agnes Supernavage, a parishioner at St. Ann in Hagerstown who was the Archdiocese of Baltimore’s Office of Missions’ project assistant for the Baltimore Haiti Project from 2003-2011. U.S. and Haitian leaders met at The Catholic University of America for the largest ever meeting of its kind, according to Catholic Relief Services, which hosted the conference along with the U.S. Conference of Catholic Bishops. About 375 people attended the conference from Haiti, Canada, France and the United States, including representatives from parishes in the Archdiocese of Baltimore. Conference organizers intended for the conference, titled “One Table, Many Partners,” “to support and strengthen the response of the many Catholic groups from the U.S. that are working in Haiti,” according to a letter on the conference’s website. Nineteen parishes in the archdiocese have partnerships with parishes in the Haitian Diocese of Gonaives through the archdiocesan Office of Missions. A few others partner with Haitian parishes through the Nashville, Tenn.-based Parish Twinning Program of the Americas, which was a conference partner organization. Supernavage first visited Haiti in 2001 through her parish, which began a relationship in 1997 with St. Claire, a parish in Dessalines, an 80-mile drive north of capitol city Port-au-Prince. St. Claire also partners with Our Lady of the Cape in Brewster, Mass. For years, St. Ann and Our Lady of the Cape knew of each other’s partnership, but did not coordinate their outreach efforts to St. Claire and its nine satellite chapels in nearby villages. The two U.S. parishes increased their communication after a 7.0 magnitude earthquake struck Haiti in 2010 and people fled Port-au-Prince for rural areas, including Dessalines. Parishioners from both parishes have volunteered together for a children’s summer camp St. Ann coordinates, said Father Barnard Baris, pastor of Our Lady of the Cape and a Missionary of Our Lady of LaSalette. Both parishes are working to combat malnutrition, which contributes to Haiti’s high child mortality rate. Last year, Haiti’s mortality rate was 165 per 1000 for children under 5-years-old, according to UNICEF. By comparison, the U.S. mortality rate for children under 5 is eight per 1000. St. Ann funds the “Littlest Angels” nutrition program, which feeds more than 500 young students each school day. The program is good, Supernavage said, but she is looking for ways to address persistent poverty. St. Ann parishioners teach first aid, basic hygiene and water purification methods to children and adults, and are developing a self-sustaining agricultural program with St. Claire parishioners, which they hope to make self-sufficient within 10 years. Cultural and historical challenges continue to complicate U.S. outreach to Haiti. During the conference, Haitian leaders spoke about the country’s victimization and exploitation, which includes the slave trade. As a result, many Haitians are suspicious of nongovernmental organizations, or NGOs, said Bishop Guy A. Sansaricq, an auxiliary bishop of Brooklyn, N.Y., and native of Haiti. The conference included keynote presentations and workshops featuring best practices on topics ranging from water access to effective intercultural communication. It was co-hosted by CRS board member Bishop Richard J. Malone of Portland, Maine, and Bishop Sansaricq, a member of the U.S. Conference of Catholic Bishops’ Haiti Advisory Group. 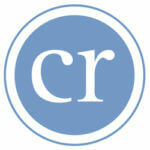 Baltimore-based CRS began partnering with the Haitian church in 1954. 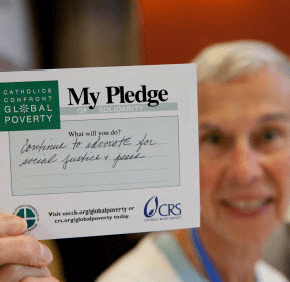 The U.S. bishops’ official international humanitarian agency, CRS is working to help Haitians overcome poverty through development programs that address sustainable livelihoods, health, water access, sanitation, justice, peace and migration. CRS coordinated Catholic relief and recovery efforts after the 2010 earthquake devastated Port-au-Prince and the surrounding region. It is currently working to mitigate cholera outbreaks throughout Haiti, including in the Diocese of Gonaives, said spokesperson Tom Price.